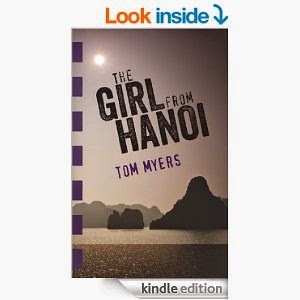 THE GIRL FROM HANOI - One young man's fight to survive Vietnam even when it means smuggling drugs to escape from the war. In 1964, just as the Vietnam War is launching America into the horror of death and destruction, Airman Austin Mars is shanghaied in Saigon by a crooked colonel and forced to fly illicit cargo. After fighting his way out of a bloody attack at a remote jungle airstrip, Mars realizes he will be killed next time if he doesn't escape the colonel's vicious clutches. That's when he meets an exotic young woman with a plan to free him and possibly make them both rich if he can stay alive. But it means taking the kind of impossible chances found only in the darkest nightmares.